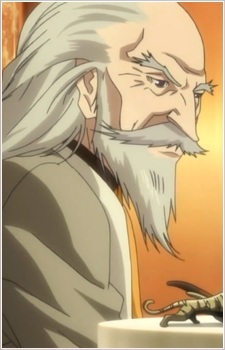 Arisa's grandfather and head of the Kuhouin Group, the richest and most powerful conglomerate in Japan. Okina despises the GHQ for not only taking away Japan's independence but also their restrictive policies affecting his various businesses. Sharing a common enemy, Okina agrees to supply Gai and Funeral Parlor with funds and weapons.